En el apartado de Información está publicada toda la información relativa a los diferentes planes de trabajo para recuperar las asignaturas pendientes. IES Complutense first opened in 1933. It is the longest-standing secondary school in Alcalá, and was the first to open in the province of Madrid outside the capital. 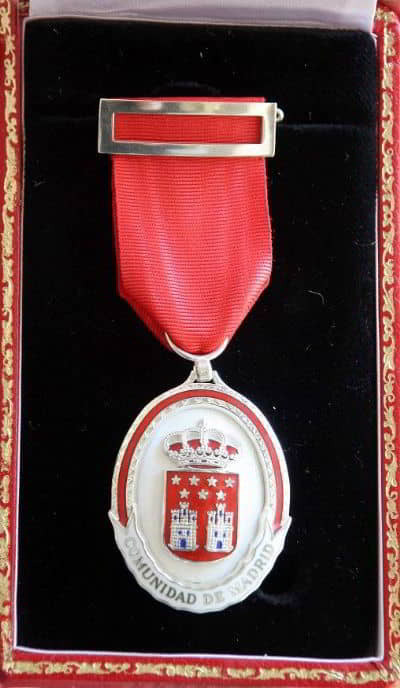 In 2008 it was awarded the Silver Medal of the Community of Madrid and the Silver Medal of Alcalá de Henares Town Council. The long history of the school enables it to draw on ample experience and resources in every department. We have been teaching Alcalá´s best and brightest for more than 80 years. Daytime (08:15 – 15:05): ESO, Bachillerato. Evening (17:30 – 21:30): Bachillerato. Approximate number of students: 950. 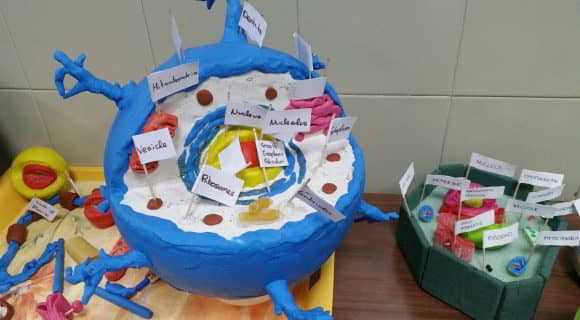 1st year ESO: 5 (Bilingual Section: 2,5). 2nd year ESO: 3 (Bilingual Section: 0,5). 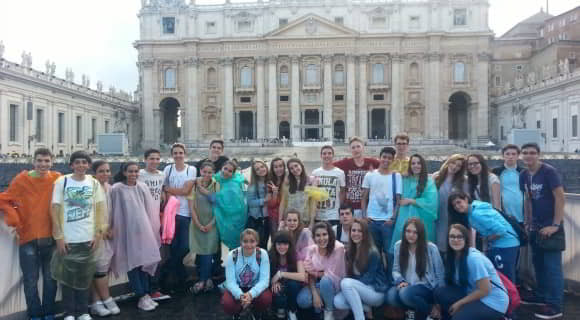 3rd year ESO: 3 (Bilingual Section: 1,5). 4th year ESO: 4 (Bilingual Section: 1,5). Number of teachers in the school: 62. We also have five English language assistants from the United States and Ireland. Moreover there is one French language assistant and we teach Chinese in the afternoon. 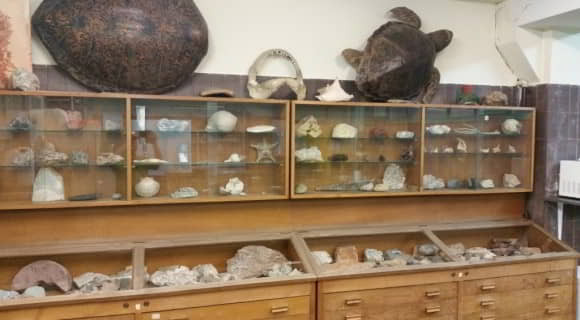 3 laboratories (biology and geology, physics and chemistry). 5 sports fields and high-capacity gymnasium annex. Library. The IES Complutense is proud of its Library, which has the largest bibliographic holdings of any secondary education centre in the city of Alcalá de Henares. All the books are available to students at the school via a well-organised lending system. Also, the school’s schedules mean the library can be open all day, providing a space for students to study whenever they want. The school’s Auditorium can be used as a multi-purpose space. All the classrooms have a smartboard or a projector and screen, as well as their own computers. Tuesday, Wednesday, Thursday and Friday: 08:15 – 14:00. Wednesday, Thursday and Friday: 08:15 – 14:00. Monday and Tuesday: 08:15 – 15:05. There are two breaks: 10:55 – 11:20 (Mon – Fri) and 14:00 – 14:15 (Mon, Tue). 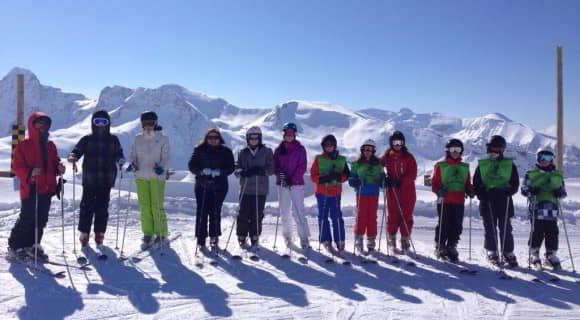 1st, 2nd and 3rd year ESO students cannot leave the school grounds for any reason during the break periods. Only students in the 4th year of ESO and Bachillerato students are allowed to leave school premises at break times. During break times, all students can use the school’s sports facilities, the library, the reading room and the leisure room. There are always teachers on duty in the playground, library and leisure room, and at the school gates, during break. In the academic year 2004-2005 the Board of Education introduced a teaching model in which students not only learn English as a foreign language, but study part of the curriculum in English: the English language thus becomes a second working language for teaching and learning. The Bilingual Section was introduced at the IES Complutense in the academic year 2010-2011 as part of the first generation of bilingual secondary schools in the Community of Madrid. 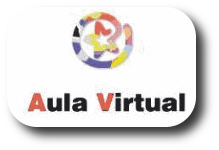 It offers continuity for students who have attended a bilingual primary school. Students coming from a bilingual primary school in the Community of Madrid who have passed Cambridge University’s KET (Key English Test, A2) for 6th year primary school students with a mark of at least 70%. Students who have not attended a bilingual primary school but who have passed Cambridge University’s PET (Preliminary English Test, B1). In other years, students who want to join the Bilingual Section will be recommended by their respective English teachers at the school and considered for access to the section. Students coming from other, non-bilingual schools who want to join the Bilingual Section must have level B1 qualifications (PET or similar) for the 1st or 2nd year of ESO or level B2 (FCE – First Certificate Exam – or similar) for the 3rd or 4th year of ESO. 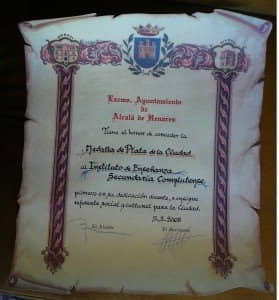 If they do not hold either of these certificates, the Community of Madrid’s Board of Education will provide an exam for them to certify they have reached these levels. All students will take Cambridge University’s external exams certifying their level of English in the 2nd and 4th year of ESO. Students in the 2nd year of ESO will take the PET exam if they have not yet done so. Students who have already passed the PET exam will take the FCE exam. Students in the 4th year of ESO must take the FCE exam if they have not already passed it. Bilingual Section students will take part in a linguistic immersion project in the 1st and 3rd year of ESO. Thus, 1st year students will take a one-week immersion course in England, where they will live with English-speaking families and go to English classes. 3rd year students will take part in an exchange programme between the IES Complutense and the Hermann Hesse Schule in Obertshausen (Germany) for the use of English as a lingua franca with German students and their families for one week in Germany and another in Spain. All ESO students who are not in the Bilingual Section will take the Bilingual Programme. This is a project to reinforce English within ESO via core curriculum English classes for 5 hours per week and some subjects taken in English: Physical Education (2 hours) in all years. Students may also opt to take Technology in English in the 1st, 2nd and 3rd year of ESO, Arts in 1st and 2nd ESO, as well as Music in 2nd and 3rd, if they wish. Students who score well in English will have the option of switching to the Bilingual Section if their teachers and families approve. Students in the Programme can earn English qualifications through external Cambridge University exams: KET, PET or FCE (First Certificate Exam, B2) in the 4th year. 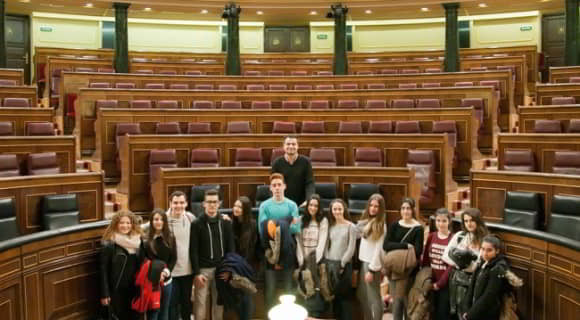 Programme students will take part in a linguistic immersion project in each year of ESO. 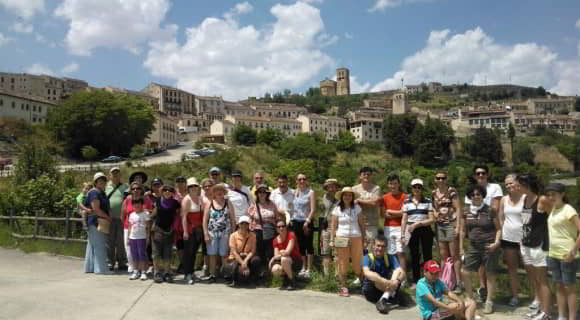 1st and 2nd year students will take part in a one-week English language immersion camp in Spain. Meanwhile, 3rd and 4th year students will take a one-week immersion course in England, where they will live with English-speaking families and go to English classes. Subjects shown in bold and italic can be taken in English if the students and their families wish. The IES Complutense offers the two streams most in demand: Humanities and Social Sciences or Science, both in Daytime and Evening schedules. The new Education Act (LOMCE) has come into force in 2015-16, and is applied to the 1st year of Bachillerato. We offer all possible options for core subjects and specific subjects in the streams. Second foreign language I: French. Industrial technology I (only in Sciences). Under the present Education Act, students who have failed 0, 1 or 2 subjects may graduate from the 1st to the 2nd year. If they have failed 3 subjects or more, they will have to repeat the entire 1st year. This year may only be repeated once. On an exceptional basis, the year may be repeated a second time with a favourable report from the team evaluating the student. Students who have to repeat the 2nd year need only repeat the failed subjects. In total, the Bachillerato may be taken over a maximum of 4 years. When the LOMCE is applied to the 2nd year, the official qualification of Bachillerato will be awarded to students who pass the final Bachillerato exams, which may only be taken by students who have passed every subject in the Bachillerato. The final exam will be marked as follows: 60% (average Bachillerato marks) + 40% (final exam). 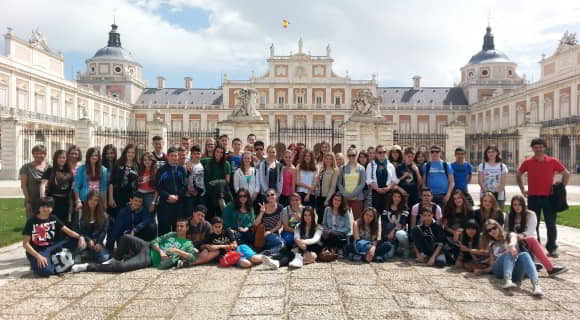 Since academic year 2014-15 the IES Complutense has taught the Bachillerato in English, on an experimental basis. This increases the class hours of English from 3 to 5 hours a week, as well as providing the curriculum of the Advanced English subject for those students who opt to take it and meet the requirements. Similarly, students may opt voluntarily to take the subject of Physics in the 1st year of Bachillerato in English. The academic results of students at the IES Complutense are exceptional, both internally and in the external exams of the Community of Madrid, University of Alcalá and Cambridge University. CDI tests (essential knowledge and skills) in the 3rd year of ESO: Overall mark of 5.13 (the same level as the Community of Madrid). Successful completion of the 4th year of ESO: 85% of graduates (6% higher than the average for schools in the Community of Madrid). Pass marks for daytime Bachillerato students in the PAU (University Entrance Exams): 96% (3% higher than the average for schools in the Community of Madrid). Cambridge University exams (in Programme and Section): 95% passes (27% higher than in other bilingual schools in the Community). 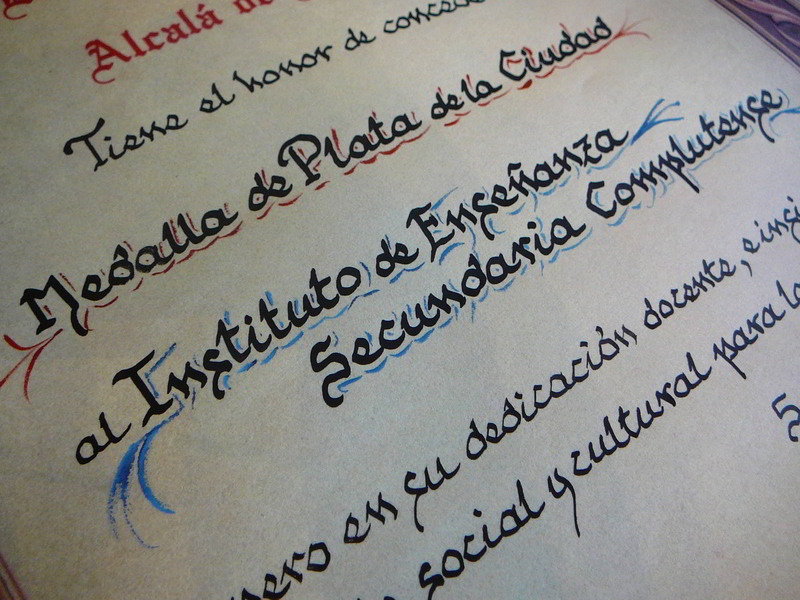 Students awarded the Community of Madrid’s Diploma of Achievement in ESO and Special Mention in ESO. Pass marks for daytime Bachillerato students in the PAU (University Entrance Exams): Year after year, our percentages of internal graduation, successful completion and pass mark in the PAU place us above the average for the Community of Madrid. The table below shows the percentage of students who pass Selectividad (official figures from the University of Alcalá de Henares). Our everyday dealings with each other are based on the principle of respect among all the members of the school, and this is also monitored daily by the teaching and administrative staff, correcting any incidents which may arise and ensuring the integration of all the students, but when this is not possible, we will not allow one individual to impede the right to education of other students, and apply our regulations very strictly. We know that our work is not limited to teaching our courses, and that we must also educate our students in other aspects which favour their personal and social development. We guarantee a study environment based on discipline, respect and high academic standards. Our teaching staff is highly qualified, dynamic and active, and enable the students to participate in many school projects: bilingual education, student exchanges, Young Translators, Maths Olympics, the Heritage Programme, Global Classrooms, School Championships, Compluteca magazine, etc. An extra 2 hours a week of English in each year of ESO (5 hours total) as a Bilingual Secondary School of the Community of Madrid. An extra hour a week of Mathematics over the requirements of the core curriculum in the 3rd and 4th year of ESO. Flexible groups in the subjects of Mathematics and Spanish Language in the 1st and 2nd year of ESO (splitting into smaller groups). One hour a week of laboratory work in Natural Sciences (1st year of ESO) , Biology and Geology (4th year of ESO) and Physics and Chemistry ( 4th year of ESO). Option of taking some subjects in English for non-Bilingual Section students. One hour a week of laboratory work in Biology and Geology and in Physics and Chemistry. An English extension course of 4 hours a week is taught in both the 1st and 2nd years. Two hours a week of extra classes in curricular English and the option to take the advanced English curriculum. The option to take other subjects in English. At this stage there are also remedial classes available for students who failed a 1st-year subject. 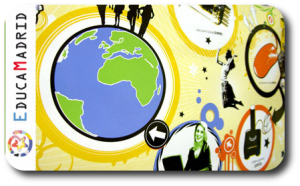 We have six English language assistants who help in the practical mastery of English. 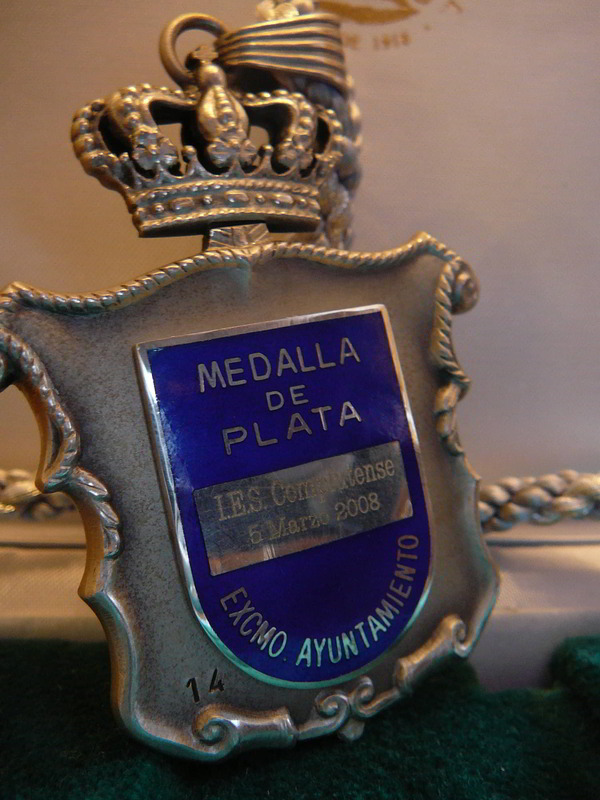 Compluteca magazine has been published since 1984, with the participation of students, teachers and famous writers. 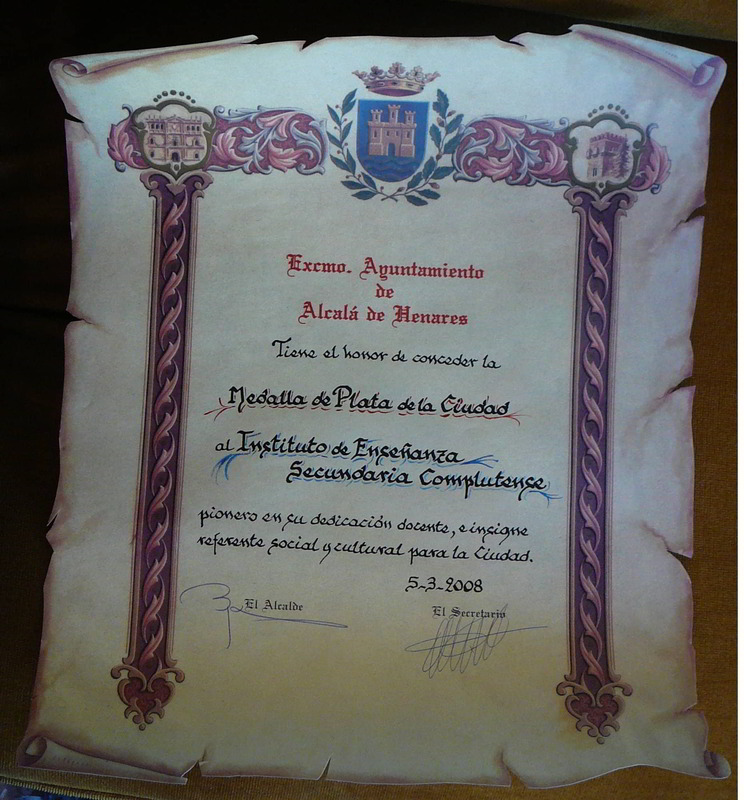 Another source of pride for the IES Complutense. An extremely ample schedule, allowing the school’s facilities (library, sports facilities) to be used from 08:00 to 21:30. The option of taking Cambridge University exams to certify students’ level of English. The school’s educational and innovative spirit is attested by its pioneer status in all the programmes created by the Ministry and Board of Education (Atenea, Mercurio, Guidance Departments, Exchanges, the Bilingual Programme, etc.). 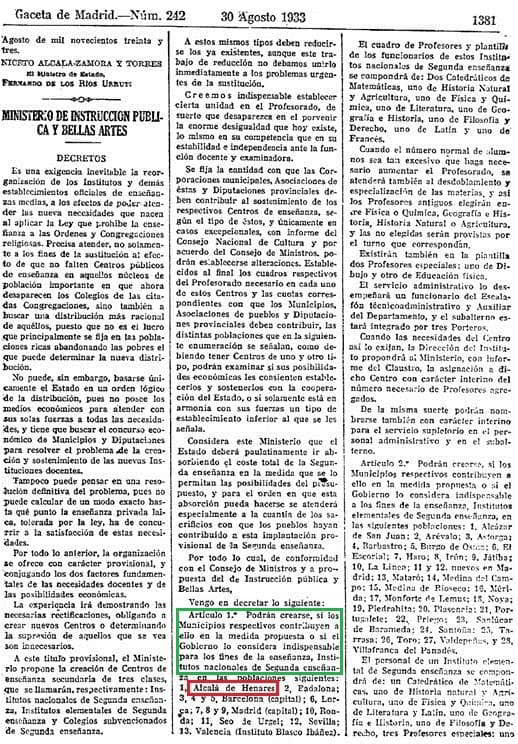 La apertura del IES Complutense data de 1933. 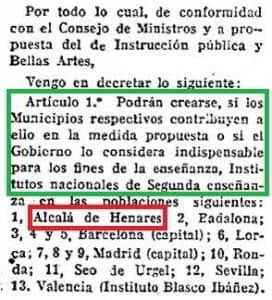 Es el instituto con más historia en Alcalá, siendo el primero abierto en la provincia de Madrid fuera de la capital. 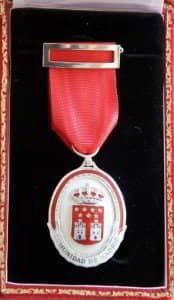 En 2008 le fueron concedidas la Medalla de Plata de la Comunidad de Madrid y la Medalla de Plata de la ciudad de Alcalá de Henares. 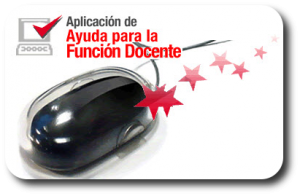 La veteranía del centro permite una amplia experiencia y dotación de recursos en todos los departamentos del instituto. Más de 80 años nos avalan formando a las mejores generaciones de alcalaínos. Diurno (8:15-15:05): ESO, Bachillerato y Ciclos. Número aproximado de alumnos: 950. Bachillerato Nocturno (Ciencias y Humanidades y Ciencias Sociales) : 7 grupos. Número de profesores en el centro: 66. Además, contamos con cincoauxiliares de conversaciónde inglés procedentes de Estados Unidos y Reino Unido. Tenemos también una auxiliar de conversación de alemán y clases de chino como actividad extraescolar. 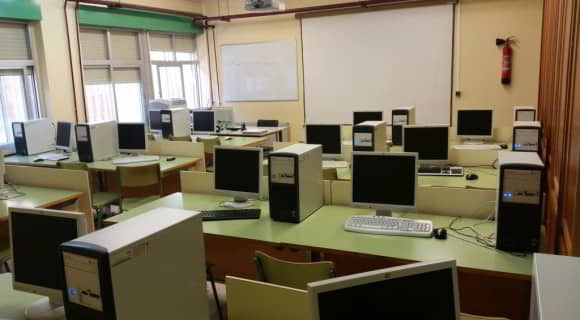 2 Aula taller de Tecnología. 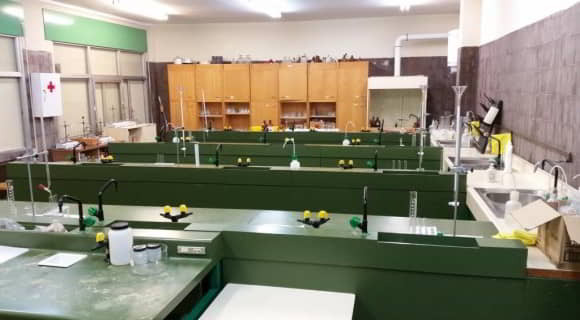 3 Laboratorios (Biología y Geología, Física y Química). 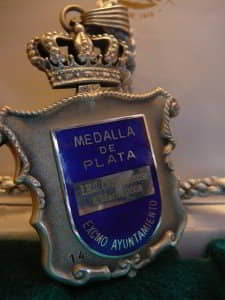 5 Pistas deportivas y gimnasio anexo, de gran capacidad. Biblioteca. 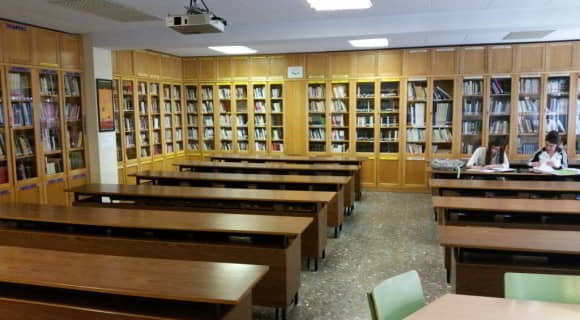 La Biblioteca del IES Complutense es un orgullo para el centro al contar con la mayor cantidad de fondos bibliográficos de los centros de enseñanza secundaria de la ciudad de Alcalá de Henares. Todos sus libros están a disposición de los alumnos del centro mediante un servicio de préstamo que funciona de forma ejemplar. Igualmente, el horario del instituto permite su apertura durante todo el día facilitando así un espacio de estudio a nuestros alumnos en cualquier momento de la jornada. El Salón de actos que se puede utilizar como espacio polivalente. Todas las aulas cuentan con pizarra digital o cañón proyector y pantalla, además de su correspondiente ordenador. Martes, Miércoles, Jueves y Viernes: 8:15-14:00. Miércoles, Jueves y Viernes: 8:15-14:00. Hay dos recreos: 10:55-11:20 (L-V) y 14:00-14:15 (L, M). 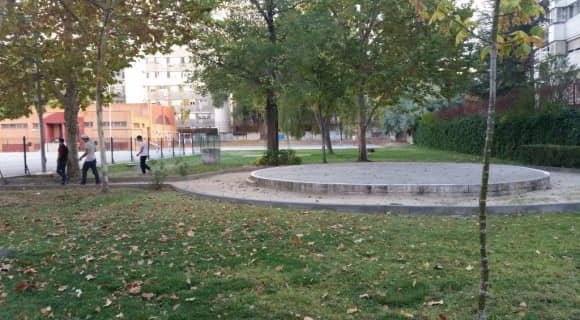 Los alumnos de 1º, 2º y 3º de ESO no pueden salir del centro durante los recreos bajo ningún concepto. 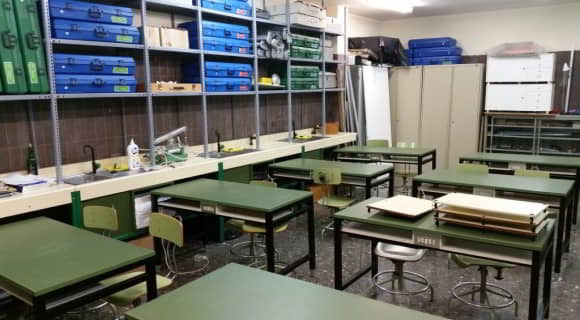 Solo pueden salir de las instalaciones del centro durante los recreos aquellos alumnos que cursen 4º de ESO y Bachillerato. Todos los alumnos pueden hacer uso de las instalaciones deportivas del centro durante los recreos, así como de la biblioteca, el espacio de lectura y la sala de ocio. Siempre hay profesores de guardia durante los recreos en el patio, en la biblioteca, en la sala de ocio y en la puerta de acceso al centro educativo. En el curso 2004-2005 la Consejería de Educación puso en marcha un modelo de enseñanza en el que el alumno no solo aprende inglés como lengua extranjera sino que cursa parte del currículo en inglés: la lengua inglesa se convierte así en una segunda lengua vehicular de enseñanza y aprendizaje. 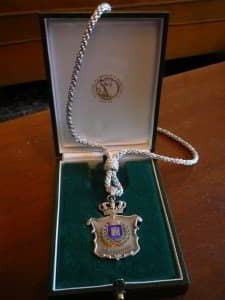 La sección bilingüe se implantó en el IES Complutense en el curso 2010-2011 formando parte de la primera promoción de Institutos bilingües de la Comunidad de Madrid. 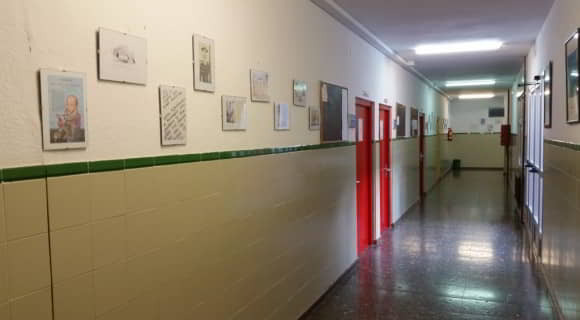 Supone la continuidad para alumnos que han cursado la enseñanza primaria en un colegio bilingüe. Alumnos que procedan de colegio bilingüe de la Comunidad de Madrid y hayan superado, con al menos un 70 %, el examen de KET (Key English Test, A2) que realiza la Universidad de Cambridge a los alumnos de 6º de Primaria. Alumnos que no procedan de colegio bilingüe pero que posean el título PET (Premilinary English Test, B1) de la Universidad de Cambridge. En el resto de cursos, aquellos alumnos que deseen incorporarse a la Sección Bilingüe los padres solicitarán su ingreso y su caso será valorado por el centro. En el caso de alumnos que procedan de otros centros no bilingües y deseen incorporarse a la Sección Bilingüe deberán acreditar el nivel B1 (PET o similar) para 1º ó 2º de ESO o el nivel B2 (FCE – First Certificate Exam- o similar) para 3º ó 4º de ESO. En caso de no poseer ninguno de dichos certificados los alumnos interesados podrán realizar un examen en el propio centro a tal efecto que acredite los citados niveles. Todos los alumnos realizarán pruebas externas de certificación de nivel de inglés por la Universidad de Cambridge en 4º de ESO. Los alumnos de 4º de ESO deberán realizar obligatoriamente el examen del FCE en caso de no haber superado dicha prueba anteriormente. Los alumnos de la Sección cuentan con un proyecto de inmersión lingüística específica para 1º y 3º de ESO. 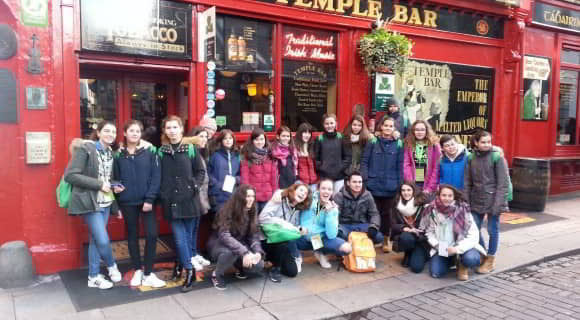 De esta forma, los alumnos de 1º participan en un programa de profundización del inglés de una semana en Irlanda, donde conviven con familias nativas y acuden a clases de inglés. 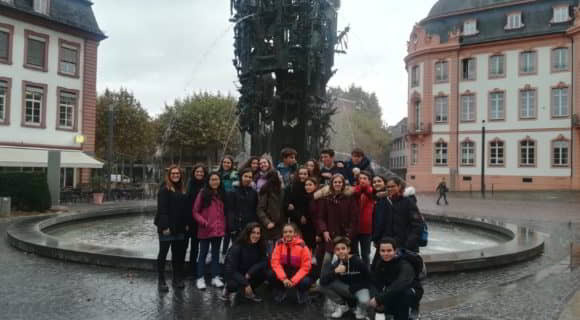 Por su parte, los alumnos de 3º toman parte en el intercambio institucional que el IES Complutense tiene con la Hermann Hesse Schule de Obertshausen (Alemania) para el uso del inglés como lingua franca con los alumnos alemanes y sus familias durante una semana en Alemania y otra en España. Todos los alumnos de ESO que no pertenecen a la Sección Bilingüe pertenecen al Programa Bilingüe. Este consiste en un proyecto de refuerzo del inglés dentro de la ESO mediante la docencia obligatoria de la materia de Inglés durante 5 horas a la semana y de algunas asignaturas que se cursan en inglés: Educación Física (2 horas) en todos los cursos. Igualmente, existe la posibilidad, por parte de los alumnos que así lo deseen, de cursar en inglés las materias de Tecnología en 1º, 2º y 3º de ESO, Educación Plástica en 1º y 2º de ESO y Música en 2º y 3º de ESO. Los alumnos cuyos resultados en la materia de inglés sean valorados positivamente contarán con la posibilidad de pasar a la Sección Bilingüe si así lo considera el equipo docente y las familias. Los alumnos del Programa podrán obtener una acreditación de nivel de inglés mediante las pruebas externas de la Universidad de Cambridge: KET (Key English Test, A2) o PET (Preliminary English Test, B1) o FCE (First Certificate Exam, B2) en 4º. Los alumnos del Programa cuentan con un proyecto de inmersión lingüística específica para cada curso de la ESO. 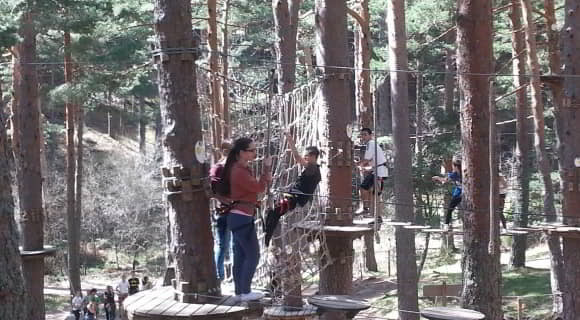 De esta forma, los alumnos de 1º y 2º realizan un campamento de inmersión lingüística en inglés de una semana de duración dentro de España. Por su parte, los alumnos de 3º y 4º de ESO participan en un programa de profundización del inglés de una semana en Inglaterra, donde conviven con familias nativas y acuden a clases de inglés. Las asignaturas en negrita y cursiva se pueden cursar en inglés si las familias y los alumnos así lo desean. En el IES Complutense ofrecemos las dos modalidades más demandadas: Humanidades y Ciencias Sociales y Ciencias. Así ocurre tanto en Diurno como en Nocturno. Tecnologías de la Información y Comunicación I (TIC-I). 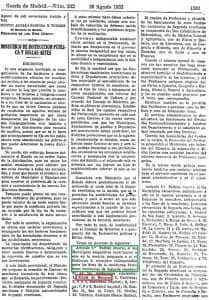 Segunda Lengua Extranjera I: Francés. Tecnología Industrial I (sólo en Ciencias). Segunda Lengua Extranjera II: Francés. Historia de la Música y la Danza. Fundamentos de Administración y Gestión. Tecnologías de la Información y Comunicación II (TIC-II). Tecnología Industrial II (sólo en Ciencias). Ampliación de Primera Lengua Extranjera II: Inglés. Con la ley educativa actual promocionarán de 1º a 2º los alumnos que tengan 0, 1 ó 2 materias suspensas. Con 3 ó más materias suspensas, se tendrá que repetir 1º en su totalidad. Sólo se puede repetir curso una vez. De forma excepcional se podrá repetir curso una segunda con un informe favorable del equipo de evaluación del alumno. Los alumnos que deban repetir 2º sólo tendrán que repetir las materias suspensas. En total los estudios de Bachillerato se pueden realizar, como máximo, en 4 años. Obtendrán el título de Bachillerato aquellos alumnos que superen todas las materias de etapa. 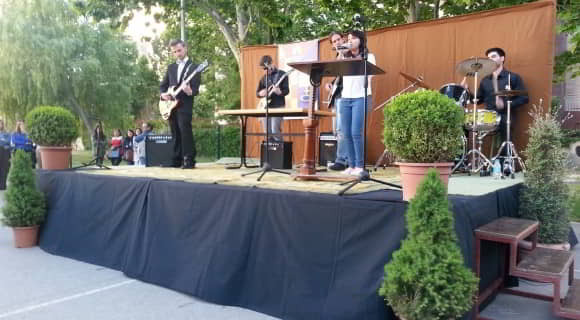 Desde el curso 2014-15 en el IES Complutense se imparte el Bachillerato en inglés con carácter experimental. De esta forma se amplía el número de horas de clase de Inglés de 3 a 5 horas a la semana, además de impartir, para aquellos alumnos que así lo deseen y cumplan los requisitos, el currículo de la materia de Inglés avanzado. Igualmente, aquellos alumnos que lo deseen voluntariamente pueden cursar la materia de Educación Física de 1º de Bachillerato en inglés. Además, los alumnos que cursen la materia de Inglés Avanzado podrán tomar parte en el intercambio institucional que el IES Complutense tiene con el Detlefsengymnasium de Glückstadt (Alemania) para el uso del inglés como lingua franca con los alumnos alemanes y sus familias durante una semana en Alemania y otra en España. Los resultados académicos de los alumnos del IES Complutense son excepcionales tanto a nivel interno como en las pruebas de evaluación externa realizadas por la Comunidad de Madrid, la Universidad de Alcalá y la Universidad de Cambridge. Titulación de alumnos de 4º de ESO: 85% de graduados (6% más que la media de centros de la Comunidad de Madrid). Aprobados del Bachillerato diurno en las EvAU (Pruebas de Acceso a la Universidad): 90 % (89% en la Comunidad de Madrid). Pruebas de la Universidad de Cambridge (en Programa y Sección): 75% de aprobados (10% más que en otros centros bilingües de la Comunidad). ¿Qué nos diferencia de otros centros educativos? El clima de convivencia se basa en el principio de respeto en todos los miembros del centro y en el seguimiento cotidiano de la convivencia por parte del profesorado y del equipo directivo, corrigiendo sus posibles desviaciones y favoreciendo la integración de todos los alumnos del centro, pero cuando ello no sea posible no permitimos que una persona impida el derecho a la educación de los demás, aplicando el reglamento estrictamente. Sabemos que nuestra labor no solo consiste en instruir a nuestros alumnos sino en formarlos en los demás aspectos educativos que deben favorecer su desarrollo personal y social. Garantizamos un clima de estudio basado en la disciplina, el respeto y la exigencia. Somos un equipo de profesores altamente cualificado, dinámico y activo que permite la participación de los alumnos en múltiples proyectos escolares: educación bilingüe, intercambios escolares, proyectos de inmersión lingüística, Jóvenes Traductores, Olimpiadas Matemáticas, 4º+Empresa, Tubot, Olimpiada de Economía, Programa de Patrimonio, Global Classrooms, Institutos de Fomento de la Actividad Física y Deportiva, revista Compluteca, etc. 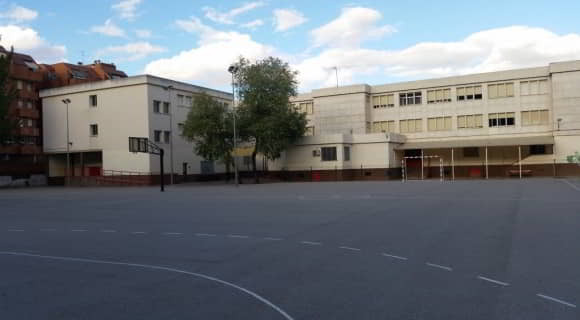 Docencia de 1 ó 2 horas semanales más de inglés en función del curso de ESO y de Bachillerato (5 horas en total) al ser un Instituto Bilingüe de la Comunidad de Madrid. Grupos flexibles en las materias de Matemáticas y Lengua en 1º y 2º de ESO (desdobles con grupos más reducidos). 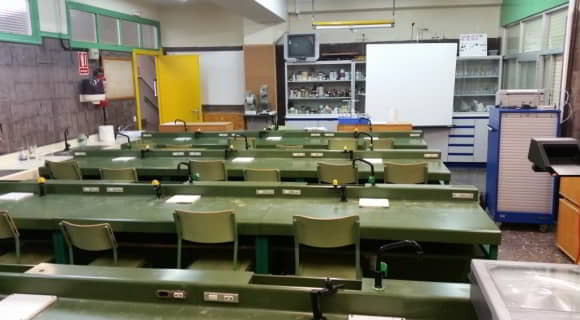 Una hora de laboratorio semanal en las materias de Biología y Geología (1º, 3º y 4º de ESO) y Física y Química (4º ESO). Posibilidad de cursar algunas materias en inglés aunque no se sea alumno de la Sección Bilingüe. Posibilidad de cursar chino como actividad extraescolar gratuita. 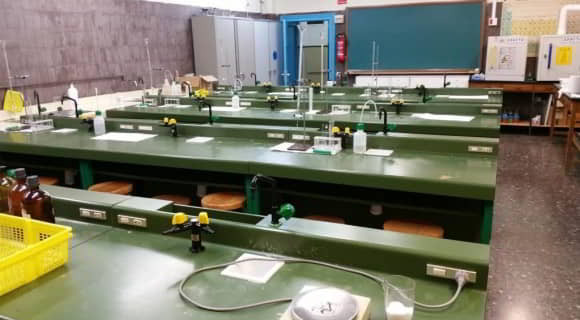 Una hora de laboratorio semanal en las materias de Biología y Geología y en Física y Química. Una hora semanal más de docencia de la materia de Inglés y posibilidad de cursar el currículo de Inglés Avanzado. Opción de cursar otras materias en inglés. Oferta de todas las materias optativas establecidas para Bachillerato. También en esta etapa hay horas de recuperación para aquellos alumnos que hayan suspendido alguna materia en 1º. Alemán o Francés como segunda lengua extranjera. Contamos con cinco auxiliares de conversación que colaboran en un aprendizaje práctico de la lengua inglesa, así como una auxiliar de alemán. La revista Compluteca se edita desde 1984 y cuenta con la participación de los alumnos, profesores y de escritores de reconocido prestigio. Otro orgullo para el IES Complutense. Un horario amplísimo que permite la utilización de las instalaciones del centro (biblioteca, pistas deportivas) desde las 8:oo hasta las 21:30 horas. Posibilidad de obtener títulos de la Universidad de Cambridge que certifiquen el nivel de inglés de los alumnos. Su espíritu educativo innovador como demuestra que sea pionero en todos los programas creados por el Ministerio o Consejería de Educación. 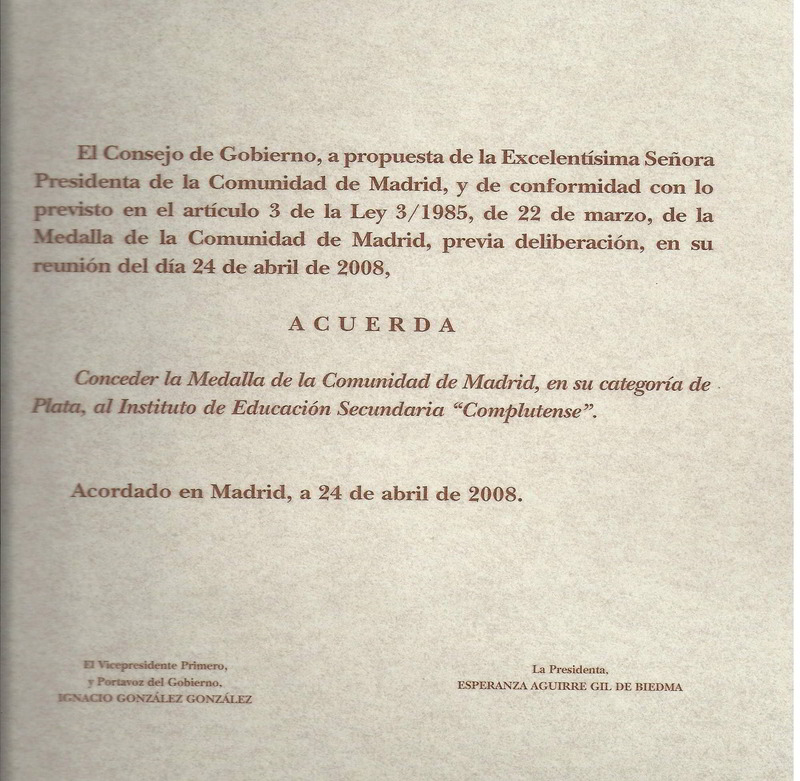 Concedida al IES Complutense por Acuerdo del Consejo de Gobierno de la Comunidad de Madrid de 24 de abril de 2008. 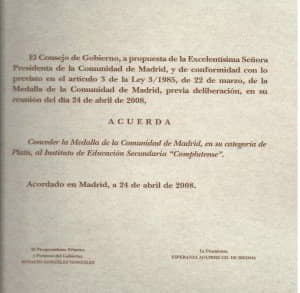 Concedida al IES Complutense el 5 de marzo de 2008. Acuerdo por el que el Excmo. 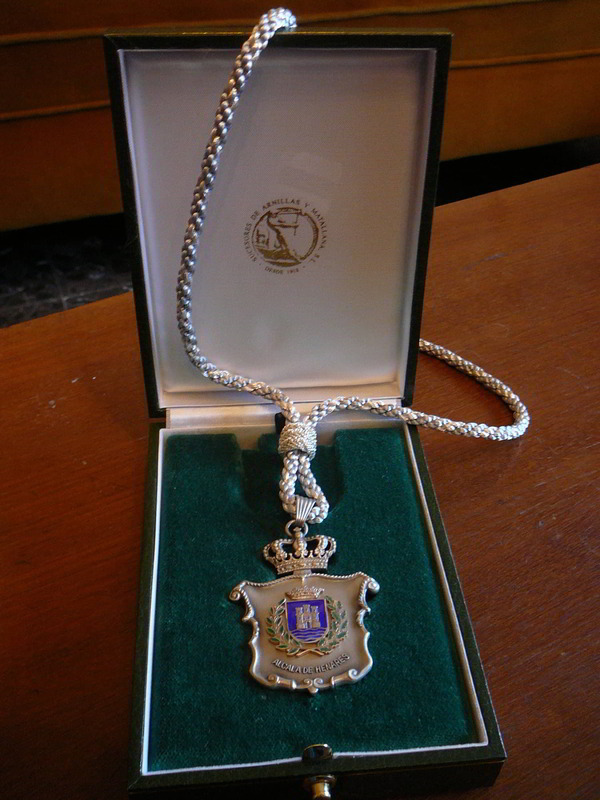 Ayuntamiento de Alcalá de Henares concede la Medalla de plata de la ciudad de Alcala de Henares al IES Complutense el 5 de marzo de 2008. Fragmento del Decreto del Ministerio de Instrucción Pública por el que se crea el IES Complutense (Gaceta de Madrid, 30 de agosto de 1933, nº242, página 1.381).